Welcome to Clay Performing Arts! 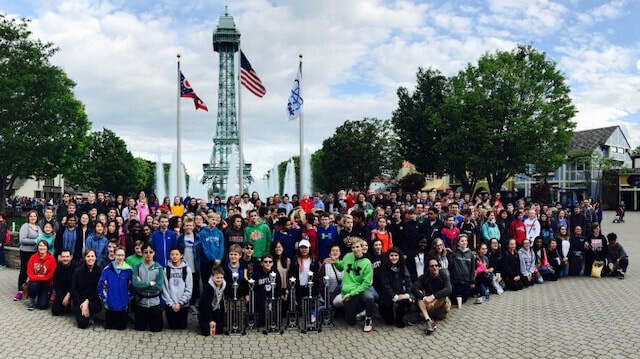 Nearly 75% of Clay Middle School’s incoming 6th graders participate in either band, choir or orchestra. Students who join the performing arts program meet new friends while having a lot of fun! Remember - NO EXPERIENCE IS NECESSARY!!! Many Clay Performing Arts members are active in Carmel Dad’s Club, Clay sports (like cross country, wrestling and track) and school clubs (Drama Club, Speech Club) while maintaining good grades. If you aren't sure whether you want to join, stop by and give it a try, we’d love to meet you! Sign up for an instrument and/or choir fitting today and become a part of Clay Middle School’s biggest programs!